Ally and I had planned to walk three Fannichs this day (the day after the western Fannichs and Grey Corries) but woke up to rain hammering down on the van roof and gubbed legs. 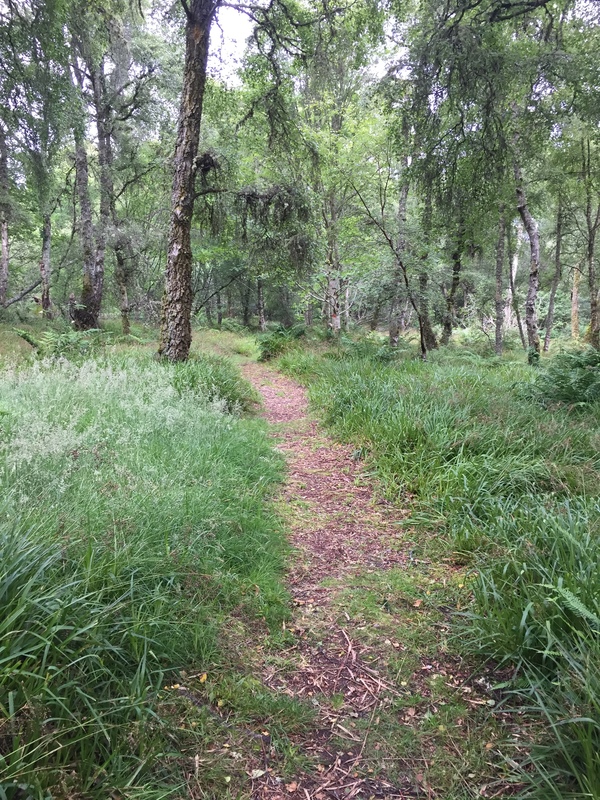 We both felt shattered after the previous few days’ efforts so then decided on an easier walk of Ben / Little Wyvis, which then turned into going to explore the Black Isle. 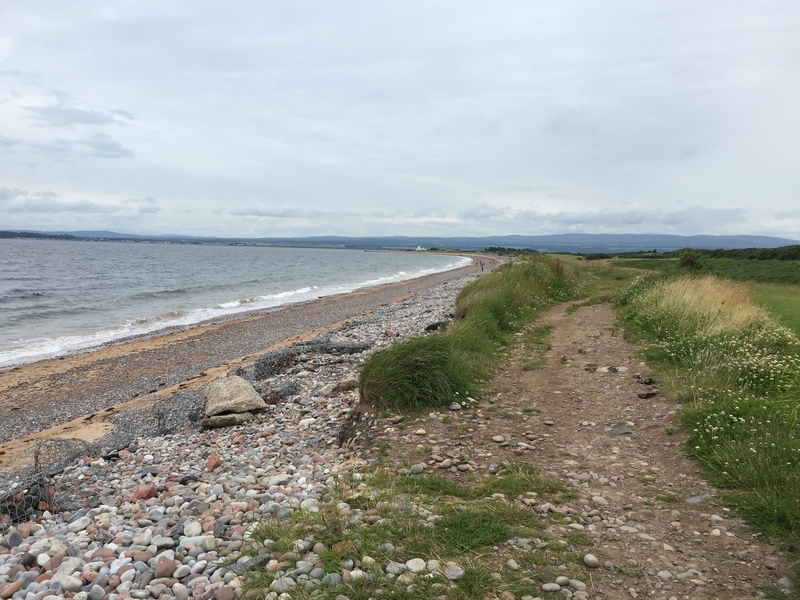 The most I had seen of the Black Isle was probably Dingwall, which I am not sure if technically is even part of the Black Isle. 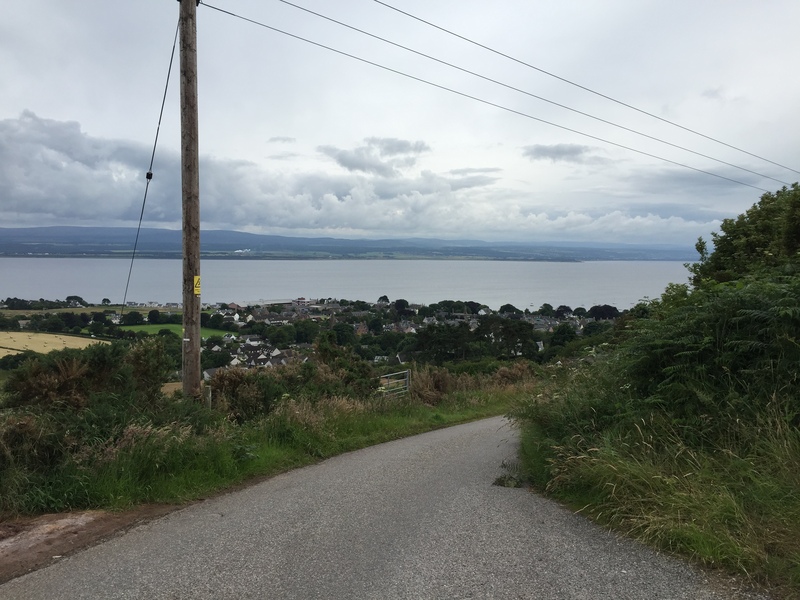 But despite growing up in Forres and seeing Cromarty across the Firth, we had never been. 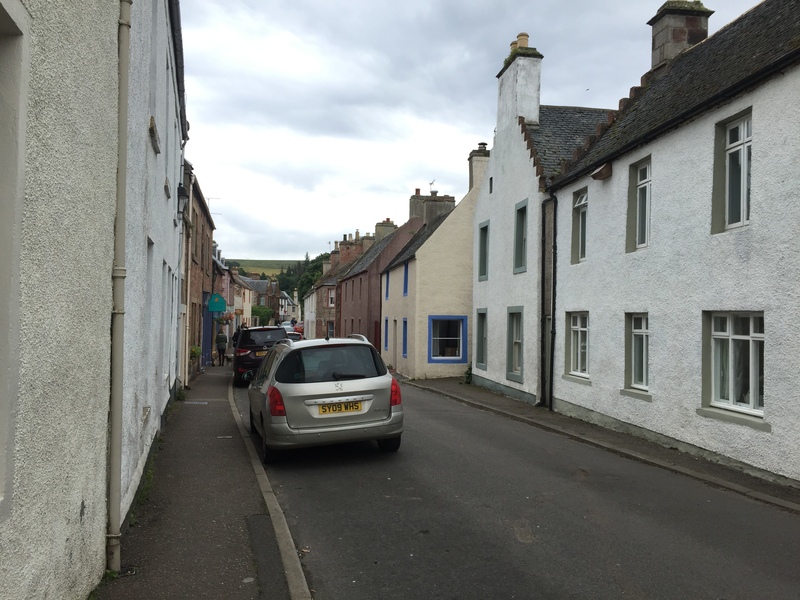 Cromarty is a lovely and pretty wee village. We stopped and had a picnic by the shore, eyed by a huge seagull who edged closer every time I looked away, hoping to steal my sandwich from my very hands. 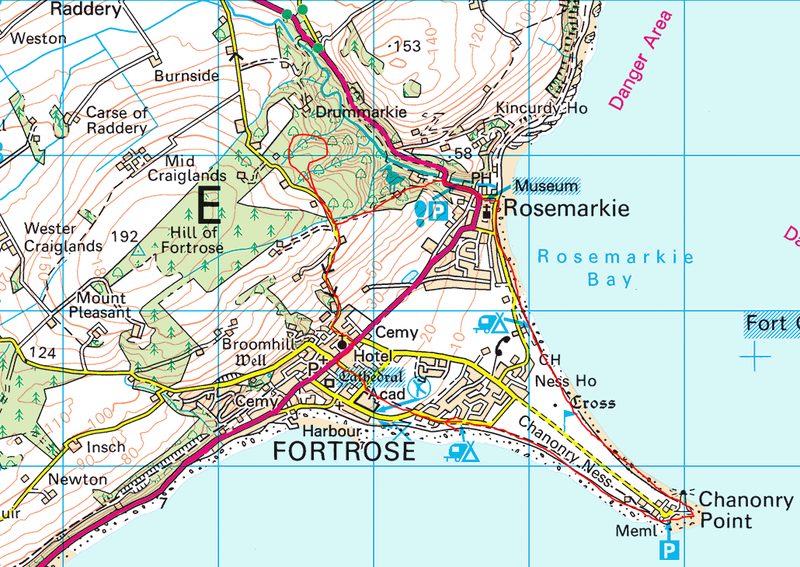 We then drove round to Fortrose where we checked into the campsite by the shore (£25!) and went off on a wee leg stretcher around the area. 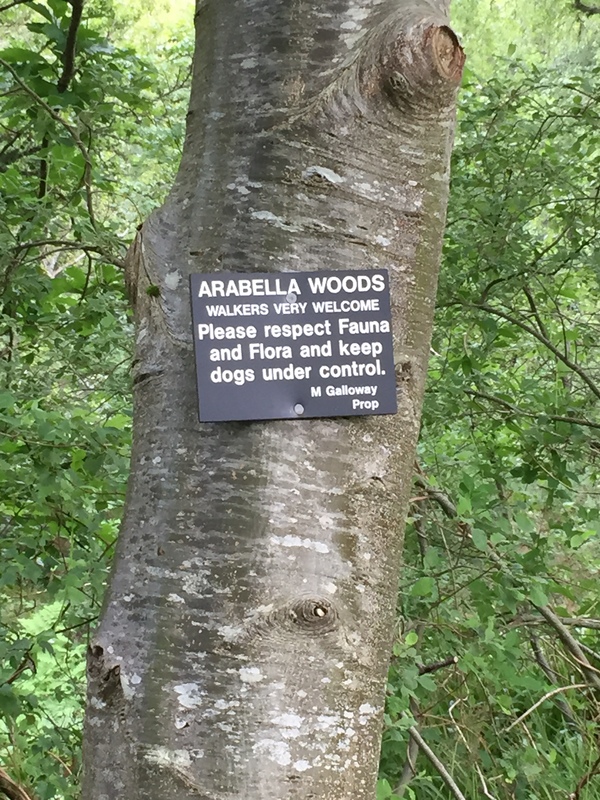 This involved walking up an extremely steep road for a mile or so, where we were overtaken midway by a lady on an electric buggy, looking very chuffed with herself and eyeing us in her wing mirror with pity. 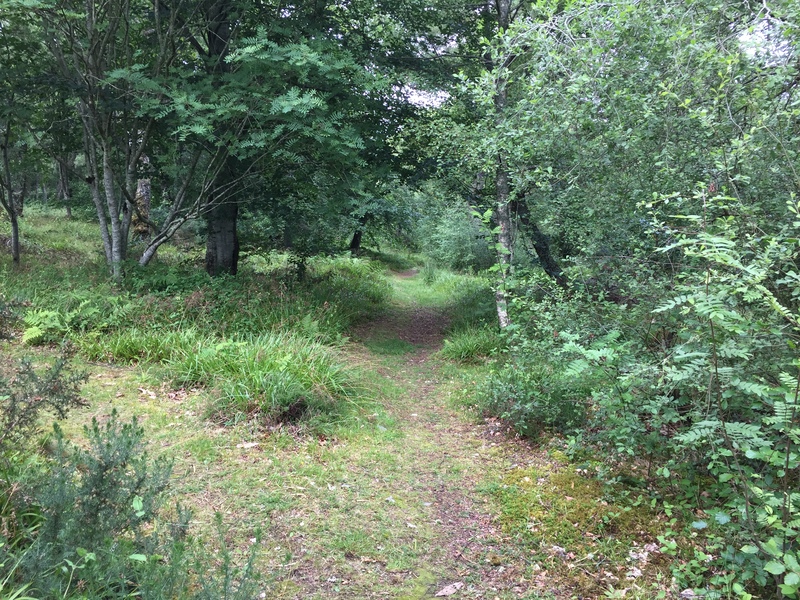 We then took a wrong turning but turned out to be a network of paths through some bonnie estate woods. 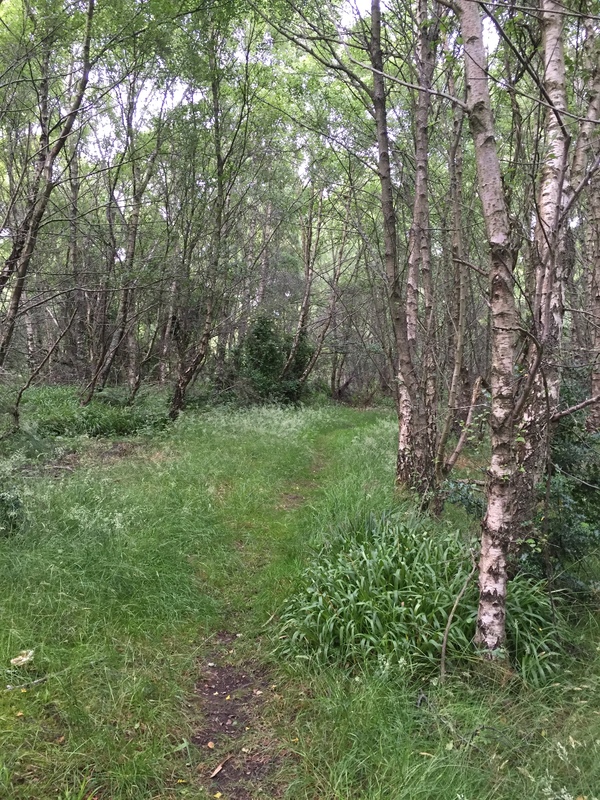 However, it didn’t take us where we wanted to go, which was back towards the village so we went back the way we came and followed the waymarked path to the Fairy Glen. We never did see the fairy glen with its waterfalls which is a shame. 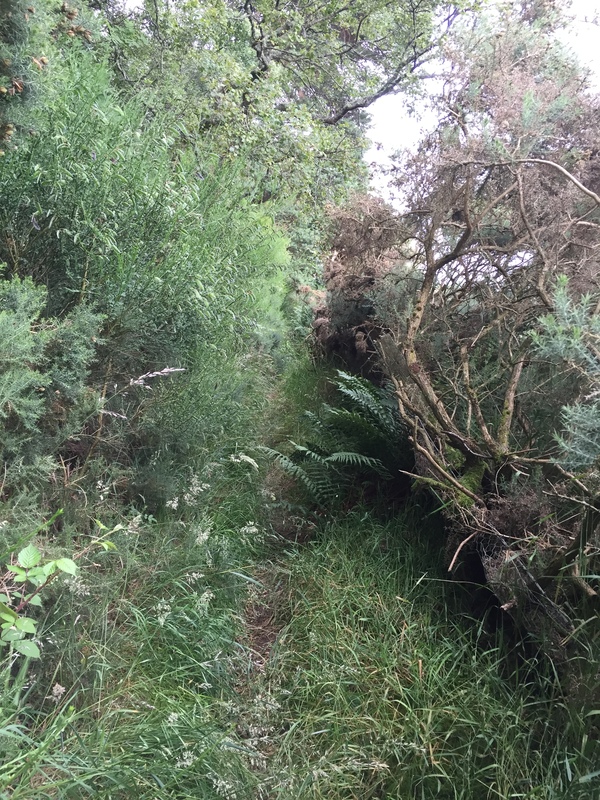 Instead, what started out as a lovely path through the woods turned into complete overgrown jungle horror with us fighting through ferns, nettles and broom over our heads. 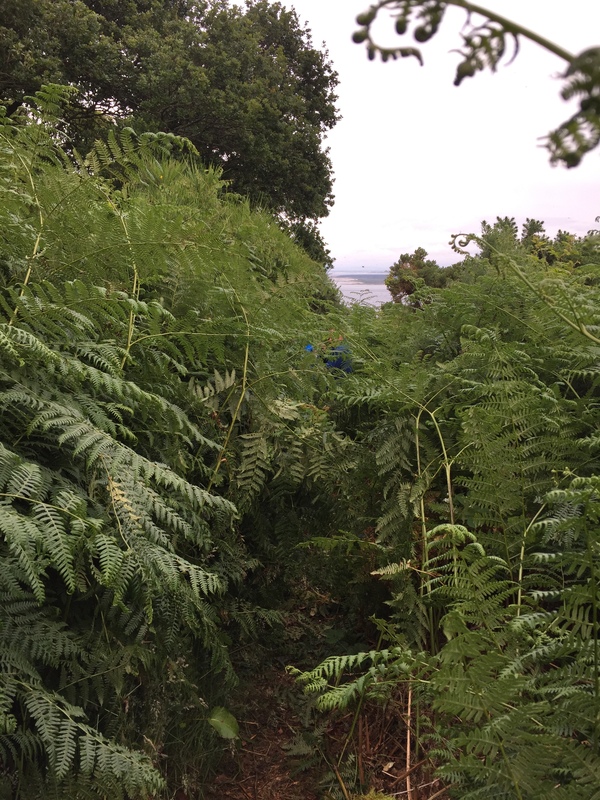 It was a relief to come out onto the road where we walked along the shore from Rosemarkie to Chanonry Point. 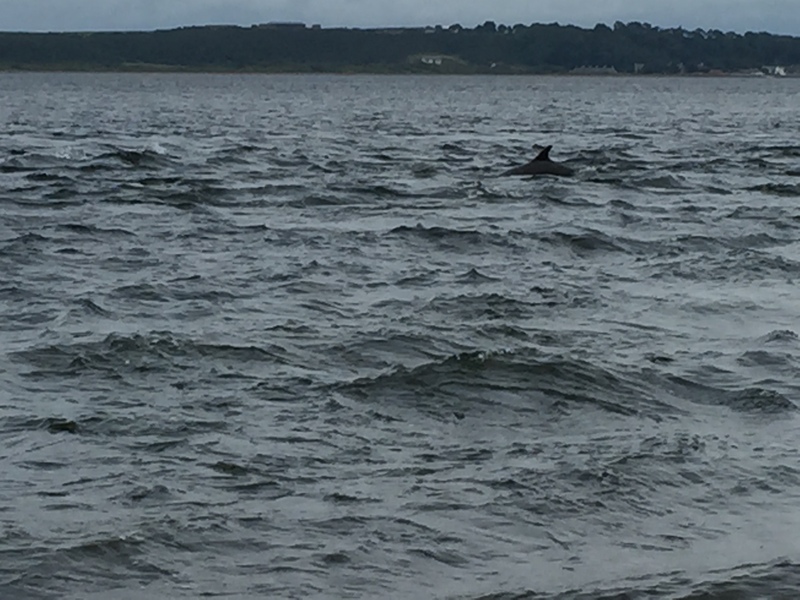 We could see a large group of people at the very tip of the point who had gathered to see the famous Moray Firth dolphins. 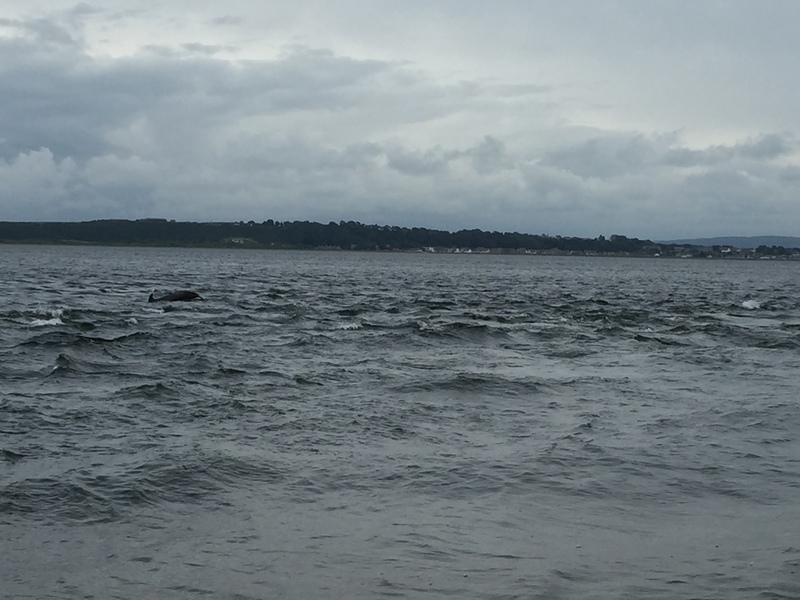 When we got there, there was about 50 people and the dolphins were dancing in the bay. I never managed to get much of a shot but it was lovely to see. I was surprised we saw them – really didn’t think we would! 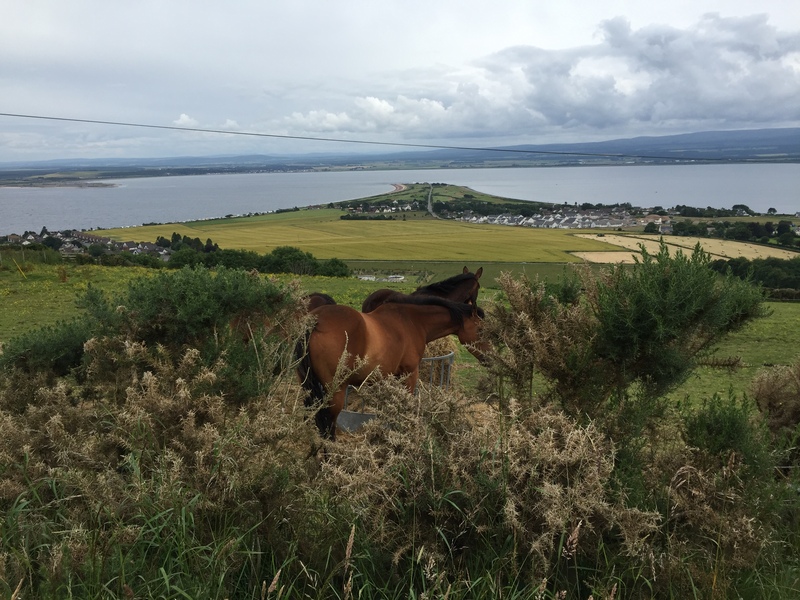 I’m glad you enjoyed your trip to the Black Isle. Great that the dolphins put on a display for you! Aw, I have heard so much about them so it was great to actually see them!